Miami Seaplane Tours is your aerial gateway to South Florida’s National Parks. Travel back in time to encounter firsthand how Florida Native Americans used to live, as you tour through a Miccosukee Indian camp on airboat. Then sit back, relax, and enjoy your flight to Miami, as the city transforms from the wild marshlands of the Everglades to the famous cityscapes of South Florida. 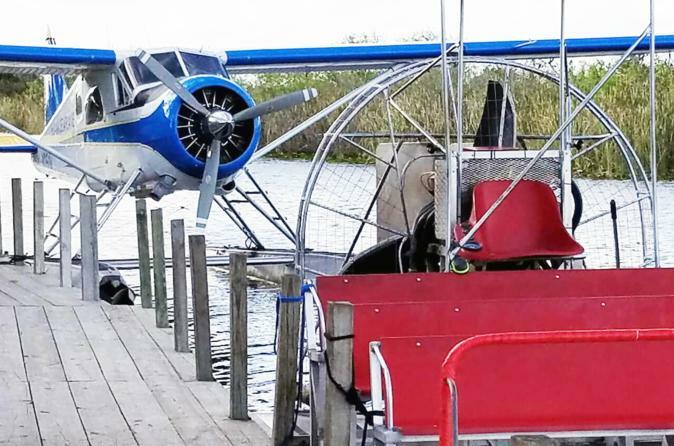 Take a seaplane from Miami to the Everglades and enjoy this one of a kind experience! There are two departures times to choose from, and after landing in the Everglades you’ll travel back in time to encounter firsthand how Florida Native Americans lived. You'll travel 45 minutes by airboat through a Miccosukee Indian camp. At the end of the day you’ll be brought back to the seaplane which will be your flight back to Miami.